We offer high density loop handle shopping bags, colorful die cut shopping bags, T shirt bags and much more, we are guaranteed to have the plastic hopping ag that fits your application at extremely competitive prices. All of our plastic shopping bags can be fully customized to your exact size and gauge specifications, with printing up to 8 colors including 4 color process printing. With over 100 years combined experience in the custom printed plastic bag and retail packaging business, you can be assured that your next custom printed plastic bag project is being handled by professionals. We have a full service onsite, art and platemaking department to help you with your packaging designs. We are also one of the few companies to offer biodegradable custom printed plastic bags. Whether you own and operate a small business or happen to be a large manufacturer, here at Global Packaging Solutions you have access to a large collection of top-of-the line and fully recyclable poly bags for your products, which may be used for any number of public and or private events, trade shows, educational seminars, company off-sites, or special marketing or product launch campaigns, as well as polypropylene bags and plastic shopping bags for all of your storage and shipping solutions. Use our easy to use online request a quote form to submit your project specifications and you will be connected with a Global Packaging Solutions sales representative who can help you customize any paper, plastic, or vinyl bag. 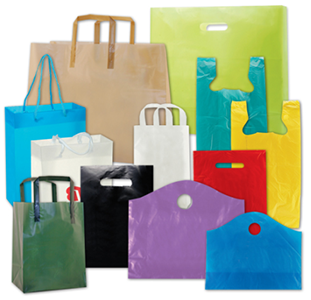 Why buy your custom plastic shopping bags and grocery bags from GPS? GPS is a worldwide leader in the manufacturing of plastic shopping bags. GPS also specializes in serving industries as varied as agriculture, construction, computer technology, janitorial, home use, electronics manufacturing, finance, brick and mortar retailers food packaging, textiles and e-tailers across the globe. Our extensive product knowledge and years of hands-on business experience offer you the cachet of real world solutions for every merchandise packaging challenge imaginable. 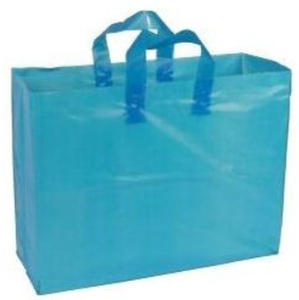 Our high-quality, eco friendly designs for plastic bags, retail bag solutions plastic shopping bags, custom poly bags are making it possible for any business we serve to meet their packaging needs without violating their environmental commitments and responsibilities. Please be sure to contact us for all your custom printed retail packaging, paper, plastic, grocery and euro tote bags needs. We are a nationally accredited manufacturer of specialized non woven, vinyl, shopping and grocery bags. Our international and domestic manufacturing plants produce the finest shipper, mailer, garment, dry cleaning, evidence, currency and deposit bags available. 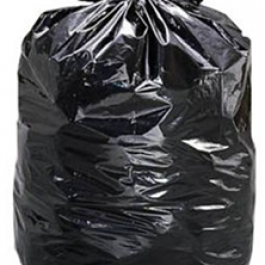 For those in the health care field, our biohazard, garbage, refuse and infectious waste bags are strong and durable.